At the March 6 Meeting - Trustees approved the Second Interim Budget, a Resolution for classified reductions/layoffs, and Dr. Toni Brown as the Hall/Neil Cummins Assistant Principal for 2019-20. 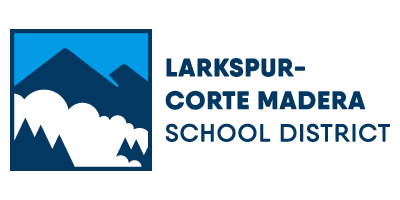 LCAP PARENT SURVEY LINK: In an effort to gather input on how we are doing, we are providing surveys to our students, parents, and staff. 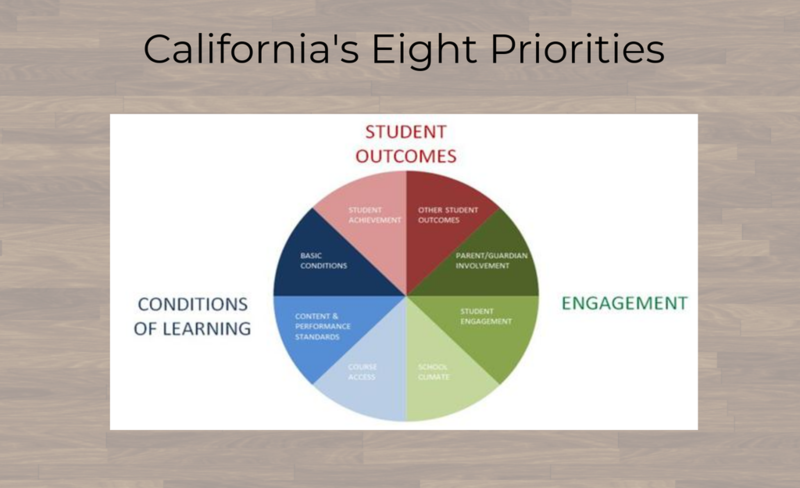 The responses will play a large role in how we evaluate progress toward our goals for the 2018-19 school year. 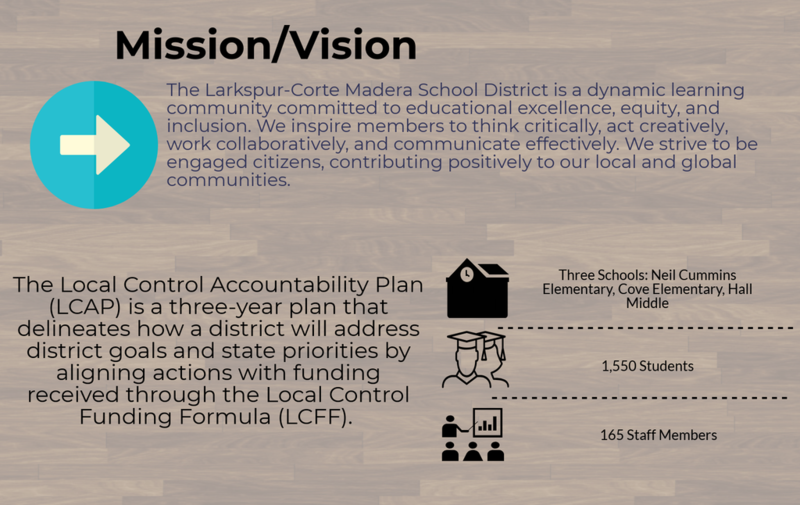 It also gives us critical feedback as we develop and revise our Local Control Accountability Plan (LCAP), including developing new goals for the 2019-20 school year. 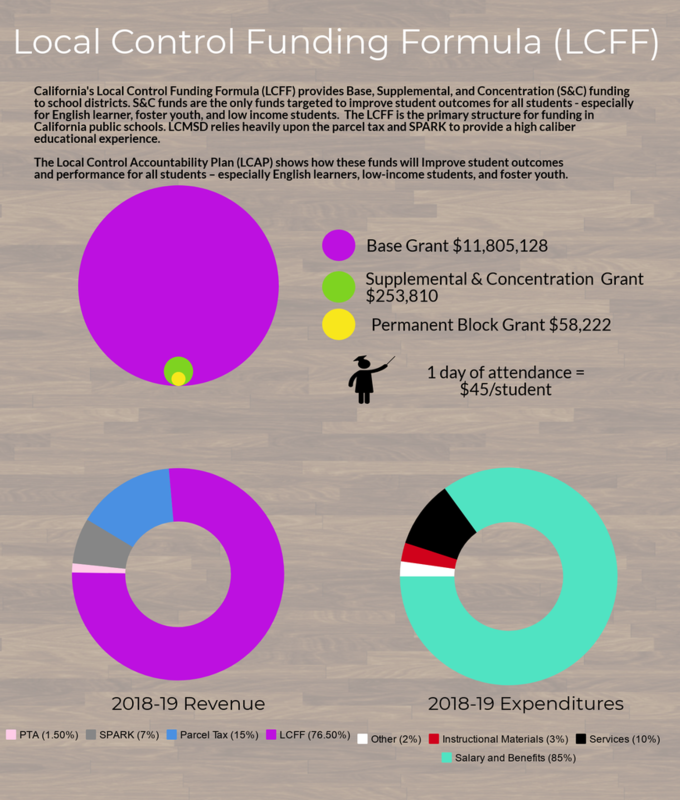 Please go to our website (www.lcmschools.org/domain/493) if you would like more information about the LCAP. The survey should not take more than 10 minutes. You do not need to answer any of the comment sections, but they are available if you want to make a comment. We will read every comment, as they give us much more insight into where parents are on each question. The survey will be open from March 27-April 5. Thank you for your participation and for your input. 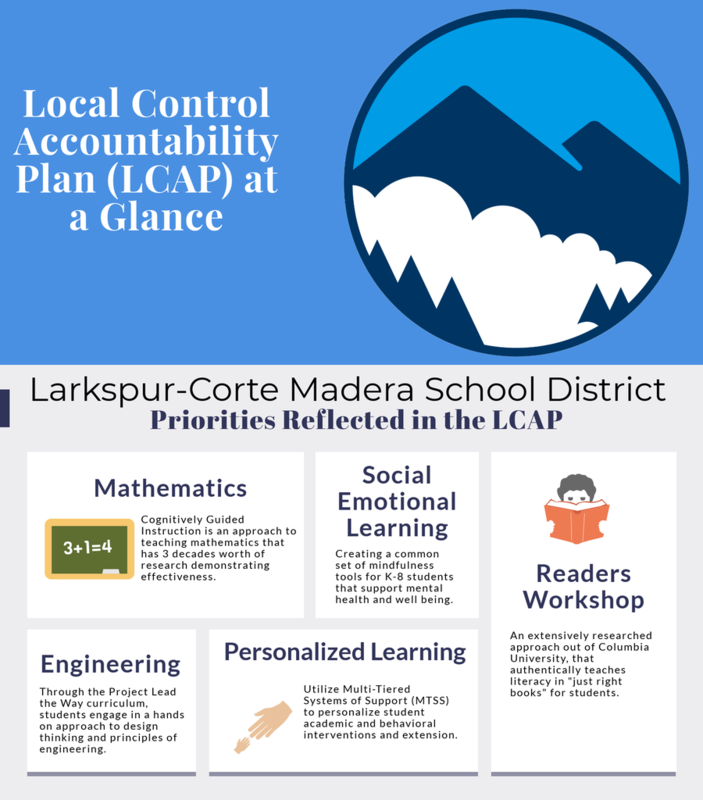 The District's Local Control Accountability Plan (LCAP) Committee that consists of parents, teachers, support staff, and administrators have been working on creating a more community-friendly visual that captures the essence of the 99-page LCAP document. Below is the visual. 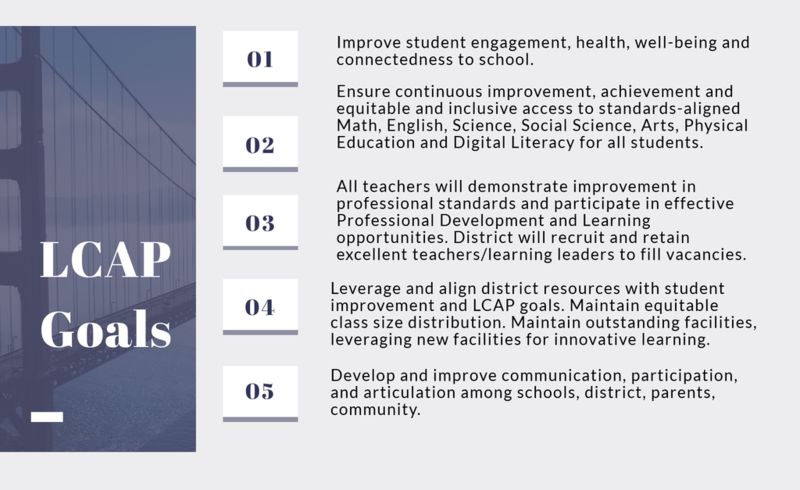 Our next steps for the LCAP are to review survey data during the April 15th LCAP Committee Meeting (3:30 at Hall Middle), present a draft of the plan to the Board of Trustees, hold a public hearing on June 5th, and then recommend the LCAP and 2019-20 District Budget for approval on June 6th. We hope you engage in this process by taking the survey and attending upcoming meetings.